Via G. Bergamo 12, 30174 Venice - Mestre, Italy. 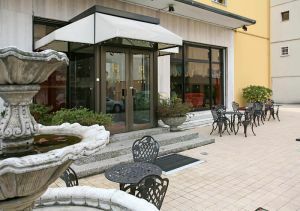 Hotel Ariston is a pleasant hotel in Mestre and to reach there a few minutes from Venice, which is easily reachable by public bus. 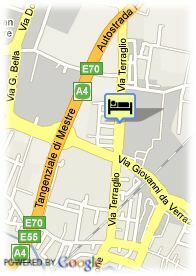 It is just six kilometres away from the historic centre. It is located in a very quiet and cosy area that can be reached by plane or car. Ariston Hotel stands out for the kindness of staff, that provides with a warm and welcoming service to make your stay in Venice a special one. hote also facilitates the private car park, TV lounge,Internet area and wi-fi,and 50 rooms decorated in light colours that have an atmosphere with a special charm and ideal to rest and enjoy the city of channels. WiFi is available (extra charge).There are internetcomputers available in the lobby (extra charge). Paid covered parking at the hotel, Paid open air parking at the hotel, Free public parking near the hotel (open air), Busparking.